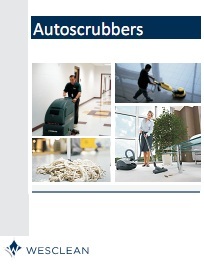 This manual contains information on pointers, procedure and clean up of autoscrubbers. This manual contains information on the uses of a rotary floor machine, pointers, procedures and clean up. This manual contains information on spray buffing & burnishing, speed comparisons, spray buffing procedure, and high speed burnishing procedure. Disclaimer Sitemap © 2019 Equipment - WESCLEAN. All Rights Reserved.